W. P. Kinsella was the celebrated Canadian author of the 1982 classic baseball novel Shoeless Joe (the inspiration for the 1989 movie Field of Dreams), and other fictional stories featuring baseball and/or native Canadians. Born May 25, 1935 in Edmonton Alberta, until age ten William Patrick Kinsella was home-schooled by his mother. His family then moved to Edmonton and he was enrolled in the 5th grade. Kinsella married his first wife Myrna Salls in 1957. Myrna and W.P. Kinsella had daughters Erin and Shannon before divorcing in 1963. He married Mildred Clay ("Mickey") in 1965, and they moved to Victoria B.C. in 1967. Kinsella was step-father to Mildred's daughter Lyn. "I quickly fell in love with the state—with the rolling fields of corn, the dense humidity, the tall bamboo canes thick as hoe handles. I had never seen the dazzle of fireflies before." 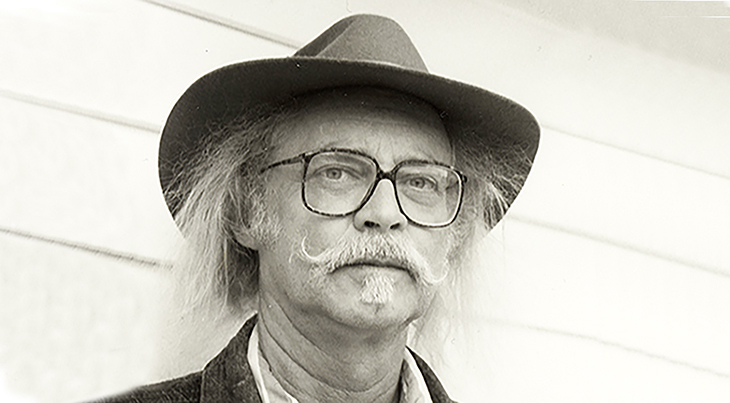 While completing his Master's, W. P. Kinsella wrote and had his first book published in 1977 - a collection of short stories about life on native reservations called Dance Me Outside. This book and another 7 books of short stories published over the next several years with the same theme, later formed the basis for both The Rez, a CBC TV series (1996-1998), and the 1994 movie Dance Me Outside. In 1978 W .P. Kinsella returned to Canada to teach at the University of Calgary in the English department (until 1983). He and Mildred were divorced that year, and Kinsella married his third wife, fellow writer Ann Knight; he'd met her while he was taking classes at the University of Iowa (and separated from Mickey). Kinsella continued writing short stories and began work on his first novel, a fiction/fantasy about baseball called Shoeless Joe (1982). W. P. Kinsella's love for Iowa, combined with stories his father had told him about Shoeless Joe Jackson, had laid the groundwork for the book, which became a critical and financial success. Shoeless Joe was adapted for the 1989 hit movie Field of Dreams starring Kevin Costner. At the age 48 in 1983, W. P. Kinsella was now financially able to begin writing full-time. From 1983-1998, W. P. Kinsella wrote and had published 1 book of poetry (co-written with Ann Knight); 5 novels, and 12 books of short stories. He was made an Officer of the Order of Canada (OC) in 1993, and in 1996, an Academy Award for Live Action Short Film was granted to a film based on his short story, Lieberman in Love. W. P. Kinsella's marriage to Ann ended in divorce in 1997, as did an almost two year relationship he'd been having with a woman 30 years his junior, writer and (now celebrated) Canadian poet Evelyn Lau. Late that same year, Kinsella was hit by a car while walking and as a result of a head injury from the accident, lost his sense of smell, taste and the ability to concentrate. His writing productivity was drastically affected; in an 1999 interview, he told the University of Regina that his personality changed after the accident, and he no longer felt like doing the activities in his normal routine. Although W. P. Kinsella was able to write book reviews and had a couple of short story collections published in the aftermath of this devastating accident, it would take 14 years before he published another novel, 2011's Butterfly Winter. W. P. Kinsella and his fourth wife, artist Barbara Turner had a long relationship before marrying in 1999. They lived together quietly in Yale, British Columbia until her death in 2012. As a senior citizen Kinsella released more short story collections, and was further recognized with the Order of British Columbia (OBC) in 2005, and the George Woodcock Lifetime Achievement Award in 2009. His 2015 collection of short stories (The Essential W. P. Kinsella) had all the familiar tales of baseball and native Canadians, and a new theme - aging, and love and loss in senior years. "I wish I'd started earlier." W.P. Kinsella opted to die with help from a doctor on September 16, 2016 at the age of 81. His books and short stories will live on for fans and future generations - a great Canadian legacy. As for Kinsella, I hope his spirit lives in the twilight field of lasting dreams that his character Shoeless Joe inhabited, and emerges from the rolling fields of corn to play forever the great game of baseball. 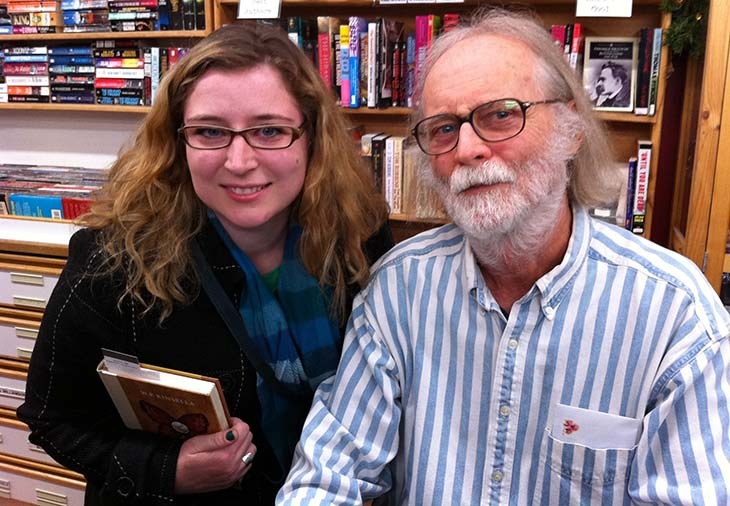 Below, in 2015 W. P. Kinsella did a reading and talked to Shaw TV while in Saskatoon. This article was previously published in 2016 under the title Celebrating Seniors - W. P. Kinsella Turns 80; it has been updated.